Close up they are a magnificent riot of color. You’d think these birds would stand out like a sore thumb in a field of wheat stubble. 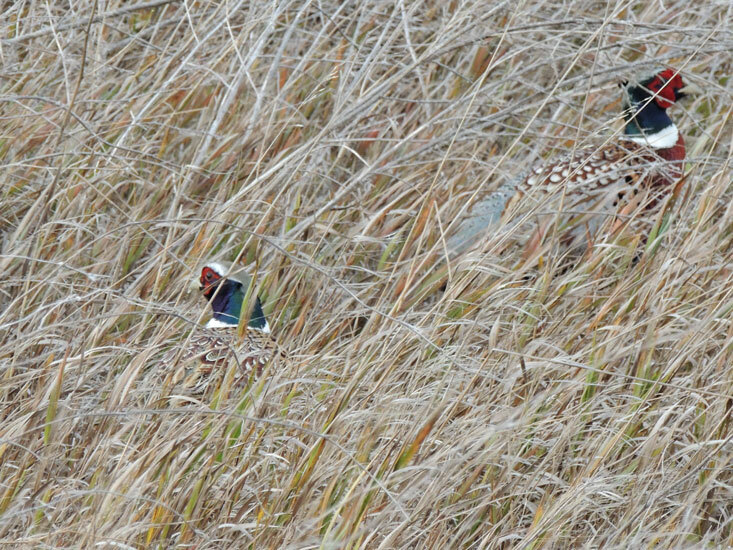 Taken on a super blustery day one bird is head down and hiding while the others tail gets blown over his head! I had written this as a back up post for this month of crazy daily posting. I figured that some day life would take over and the blogging just wouldn’t happen. 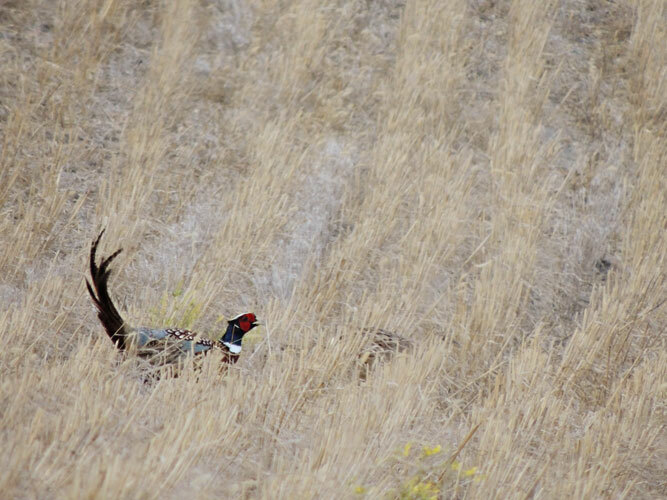 This entry was posted in birds, Hunting and tagged bird hunting, pheasant. Beautiful! Hope the belching stove gets sorted out quickly. A dose of Pepto-bismol ( not sure if that’s how you spell it. We don’t have that here or where I grew up)? I was about to resort to the Pepto-bismol because nothing else worked when I learned about reversing draws and cold chimneys. Which having heated with wood for the last 10 years has never been a problem. But hey, you learn something new everyday right? Absolutely. Go you! So what does the stove use if not wood? Pellets? Peat? The possibilities are endless and positively poetic! Lol! Couldn’t resist! Oh I just wrote that confusingly. It does burn wood I just have never had this particular issue in many years of wood stove use that’s all. Today it’s sputtering snow, grey and windy and the fire is burning merrily inside. Thank goodness!!! 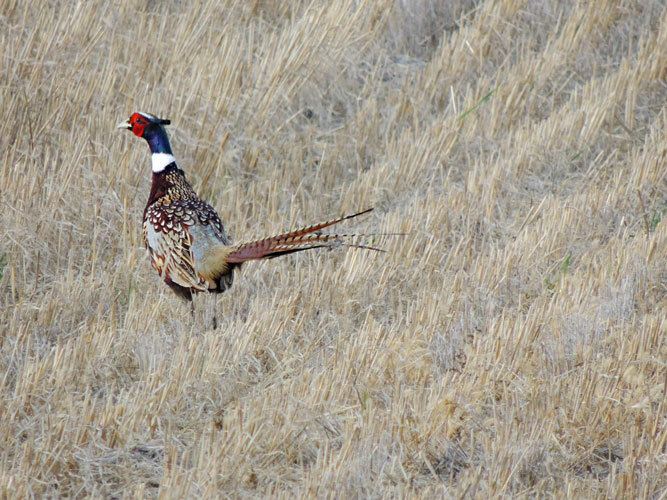 First of all…..Mother Nature certainly dressed up the male bird and animal! Second…..I know all about soot flying around. Long time ago we heated our home with space heaters. Had a man to clean the soot from one but his vacuum cleaner had a whole in the bag and my kitchen was covered with soot. Nasty greasy stuff on everything!! Ooo terrible! Fortunately most of ours was ash and a lot of shop-vacing and I’ve got it pretty well cleaned up- and we now have a fire going as well- thank goodness! Fantastic post and photos! We came home late from a long holiday weekend to a cold house and sleeping kids. Thank God the woodstove did not belch smoke. As good as it feels to come home I always hate the feeling of the cold house. It took until I brought in reinforcements this afternoon (Dad) but we got the fire going again. Phew! so sorry about the smoke belching but these pics are great! I used to go with my dad and brother and shoot with my camera as they shot with their guns. Great memories.